Tonight's vigil to honor the life of Lavon Walker, who was part of the founding team that helped to create Save Our Streets (SOS) Brooklyn, attracted several hundred family members, friends, community residents, and admirers. The crowd overflowed the sidewalk in front of the Crown Heights Community Mediation Center and spilled out onto Kingston Avenue. I wish I had words to make sense of Lavon's loss, but I don't. Thankfully, there were loved ones and co-workers tonight capable of stepping up to this most difficult of tasks. Fittingly, the vigil felt like a combination of memorial service and rally. There were calls for justice -- but "the right way." There were appeals to support Lavon's family. (If you feel like donating, click here.) 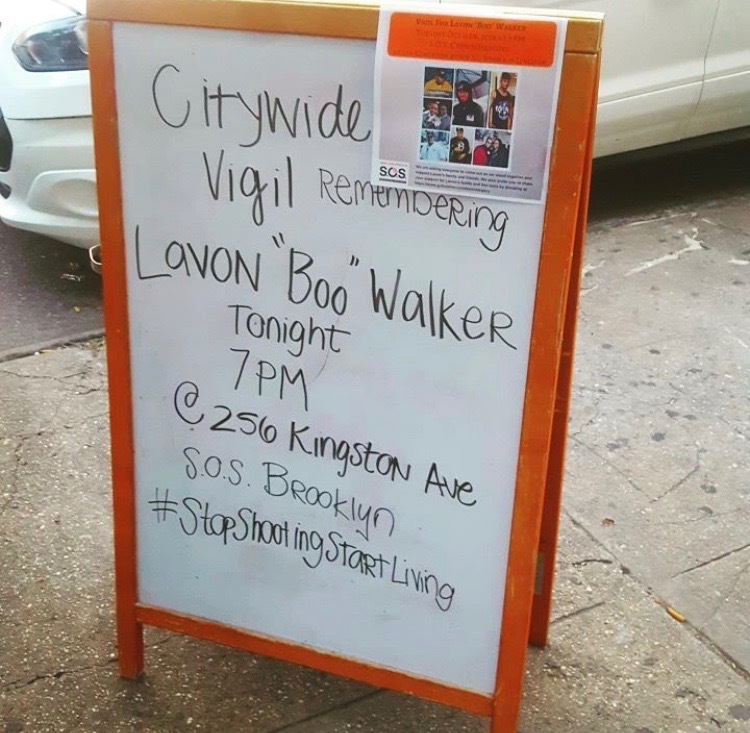 Most of all, there were pleas to honor Lavon's legacy by continuing the work he dedicated the last several years of his life to -- combatting violence on the streets of Brooklyn. Cries of "Stop Shooting Start Living" drowned out other noises on the block and echoed out into the neighborhood. I didn't know Lavon well, but what I knew I liked. He had warmth and charisma and style. But underneath the jokes was a seriousness of purpose. You can see both qualities -- his charm and his sense of calling -- on display in the short film we made describing the Center for Court Innovation. Lavon appears briefly at around the 5 minute mark, passing out cards publicizing SOS. My thoughts and prayers are with Lavon's family and those who worked alongside him in Crown Heights. He will be missed.